Delray Beach’s New Mini Mall “The Big Apple” Shopping Bazaar,Jewelry Exchange,and Salon &Spa Suites will transport you to the streets of New York City for food,shopping and fun. Complete with streetlights,iconic buildings,brick walkways,and even the Statue Of Liberty. “The Big Apple” provides shoppers with over 65 one of a kind Specialty Boutiques,Jewelers Showrooms,and Salon &Spa Suites all under one air-conditioned roof. Not your ordinary Mini Mall. 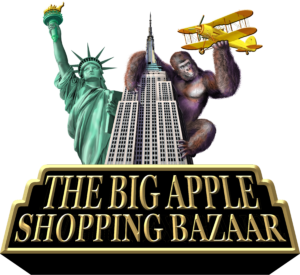 Delray Beach’s New Mini Mall “The Big Apple”Shopping Bazaar,International Jewelry Exchange,and Salon &Spa is a family owned business that is part of a legacy established in 1971. We are committed to providing our clients with only the finest quality Shopping Boutiques,Jewelers Showrooms,and Salon &Spa Suites and accommodations in the industry. Our management team has over 47 years of experience in commercial industries such as land development,manufacturing,distribution,warehouse and self-storage facilities,Class A office buildings,and specialized retail. Our Shopping Boutiques,Jewelers Showrooms,and Salon &Spa Suites owners take pride in designing,creating,and providing nothing less than exceptional merchandise,meticulous craftsmanship,and specialized custom services. Along with quality,value,and integrity at “The Big Apple”,we are focused on customer service at the forefront of all that we do. Our main goal is to keep our customers happy and always satisfied with their purchase as well as experience. Nothing else makes “The Big Apple Team”happier than having a customer come back years after a purchase and tell us they are still in love with suit they bought,tax services saving them money at the end of the year,family heirloom that was restored,or watch that couldn’t be fixed. “The Big Apple”Mini Mall is a one of a kind and unique social experience including special events,raffles,concerts,weekly discounts on all products and services such as Clothing Accessories,Handbags &Shoes,Home Goods,Health &Beauty Supplies,Salon &Spa Services,Jewelry Sales,Watch Repair,and much more. We have built our successful businesses through referrals from satisfied tenants who have become part of “The Big Apple Family.”Please give us a call,or just stop by and meet our warm and friendly management team,who can show you our Shopping Boutiques,Jewelers Showrooms,and Salon &Spa Suites for lease today! Delray Beach’s New Mini Mall “The Big Apple” Shopping Bazaar, International Jewelry Exchange, and Salon & Spa philosophy is to create a relaxing, unique, and memorable atmosphere with a quality selection of Shopping Boutiques, Jewelers Showrooms, Salon & Spa Suites focus will be to provide a wide range of choices for mainstream shoppers seeking excellent value. 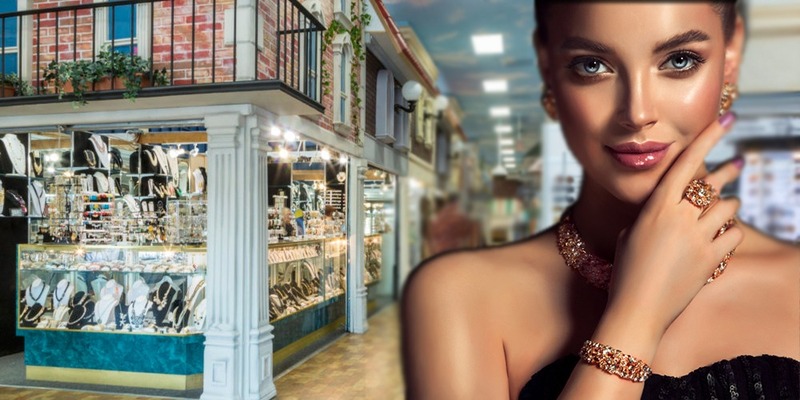 “The Big Apple” will always meet customer’s taste, expectation, and need with quality and style of materials, customized services, fine diamonds, sterling silver, chains, bracelets, earrings, rings, and high-end costume jewelry allowing the business owners to offer its customers a broad spectrum of merchandise and services. I love their makeup products here. I always get treated with class. I love you guys for it too. Thanks ladies! I came into Wanda’s looking for a cologne that would make a woman melt. I asked specifically for this type of a cologne and I got exactly what I asked for. My lady friends #Love it! They listen to my obstacles and directed me to the right product. They also informed me how to take it. They figured out which product would suit me best. I come here for my teatree shampoo. The prices are always lower than any other cosmetic store in Delray Beach, Florida. I love going to the Beauty Bazaar, I went to find Paul Mitchell Brand hair products and found they offer 20% below price. Thanks. I will only come here from now on. Looking to Remodel Your Home? Scratch Off Winners from mailer Free Lunch / Free Spin "Big Apple Money Machine"
Redeem Voucher at The Big Apple Front Office See Michelle!